Adelaide Airport is seven kilometres from the Centre and driving time is around 15 minutes. The modern terminal handles regional, domestic and international flights. 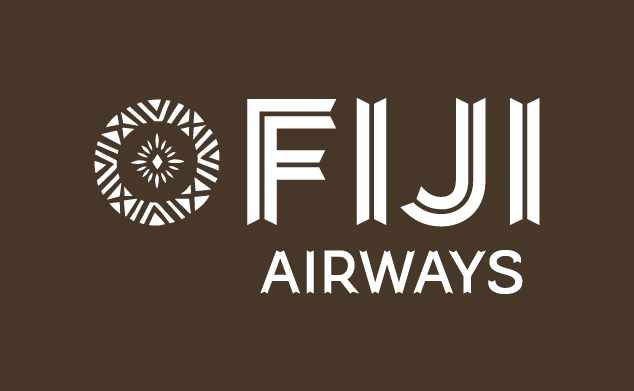 Click on the logo of the airline to visit its website. There are plenty of taxis available from Adelaide Airport and the taxi rank is only a short walk from the arrivals hall. The average taxi fare to the city is around AUD $20, plus an AUD $2 airport levy. Car rental desks are located on the ground level of the terminal adjacent to the baggage claim area. Parking for car rentals is located on the ground floor of the multi-level car park. Your car rental company will direct you to the correct parking location to pick up your vehicle. To drop off your car rental, follow the signage to the car rental area on the ground floor of the multi-level car park. For any queries on the car rental parking arrangements at Adelaide Airport, please contact your car rental company. The Northern Flyer/City Shuttle provides an efficient service to both the CBD and the city’s northern suburbs. Pick up and drop off is available at the major hotels and the service operates seven days. For more details, please visit the website www.northernflyer.com.au or visit the visitor information booth in the T1 terminal. Adelaide combines exceptional food and wine with art, shopping, culture and fantastic weather. Adelaide has had a resurgence in the past few years with a vibrant small bar scene reinvigorating the city's laneways. Famous chefs and high-end boutiques have made Adelaide their new home. It’s full of vibrant cafés and eclectic restaurants as well as a strong events scene that incorporates all manner of tastes – from the Adelaide Fringe to the Santos Tour Down Under. There are always things to do in Adelaide – it just depends on what tickles your fancy! prettiest cricket stadium in the world, Adelaide Oval has recently undergone an AUD $610 million make-over. The result is pretty spectacular. Join a guided tour which takes you behind the scenes of this iconic ground. Visit the Bradman Collection, featuring objects and photographs from the private archives of Sir Donald Bradman, the world’s greatest batsman. Rundle Street Mall - Experience Adelaide's premier shopping district with more than 700 retailers. Rundle Street East is the heart beat of Adelaide’s ever popular cosmopolitan East End District. Specifically located between Frome Street and East Terrace, this vibrant and eclectic City boulevard lives and breathes historic charm with modern sophistication and amenity. It is right here that you will discover the very best in cutting-edge fashion stores and leading designer labels, funky gifts, home wares, jewellery, accessories and much, much more. In fact, the quality, variety and mix of fashion and specialty retail is second to none. Adelaide’s Central Market - Marvel at South Australia’s rich bounty of produce – from farm-fresh fruit and vegetables to hormone-free meats, artisan cheeses, smoked meats and seafood. It’s all at the Central Market, where you can stop for an espresso or a bite. Better still, join Mark Gleeson’s early morning tour, sample the produce and chat to the people behind the market stalls. Adelaide Botanic Gardens - In the heart of the city but another world away. Take time out to explore the beauty and diversity of plants from across Australia and around the world. Spend an hour or spend the day among the 50 hectares of magnificently maintained gardens and stunning architecture. Relax in the shade or enjoy a coffee among some of Australia’s finest plant collections. National Wine Centre - The National Wine Centre's 'Wined Bar' boasts Australia's largest tasting room experience with visitors able to sample 120 different wines thanks to the installation of state-of-the-art Enomatic wine preservation and dispensing machines. The Wined Bar is part of the Centre's Cellar Door where you can choose, pour and taste every wine - from Penfolds' famous Grange to the boutique wine labels. With all the best Cellar Doors in the one place, visitors are able to find the perfect wine suit their taste and budget. Friendly, educated staff are on hand to help you discover the perfect drop. Visit Adelaide’s tree-lined boulevard, North Terrace, home to the city’s most important cultural institutions. Housed in one of Adelaide’s most beautiful buildings, the Art Gallery of South Australia features a collection of more than 38,000 works spanning Australian, European, North American and Asian art. Delve into Australia’s natural and cultural heritage at the neighbouring South Australian Museum. When the mercury rises, head to one of Adelaide’s many popular ocean beaches. Catch the 25 minute tram from Rundle Mall to Glenelg, a bustling beachside neighbourhood with heritage hotels, alfresco cafés and a white sandy beach. For the ultimate retro beach experience, drive 14 kilometres (9 miles) south of Adelaide to Semaphore, where you can walk along the esplanade, tuck into fish and chips or swim in its sheltered waters. If you’re looking to hit the surf, both novices and experienced surfers are catered for on the Fleurieu Peninsula, a 45 minute drive south of Adelaide. Barbarossa valley - The Barossa is one of the world’s great wine growing areas, with more than 150 wineries and 80 cellar doors. Seven generations of grape growers and winemakers have established this fertile land as one of Australia's top wine regions with consistently outstanding vintages over the past 160 years. Tour the Barossa by bicycle, motorbike, vintage car, hot air balloon or helicopter, and wine and dine your way around some of Australia’s finest restaurants. A world of gastronomic delight awaits in this picturesque cluster of villages, rolling hills, stone churches and vineyards.